I’m back, after a short hiatus last week. Dave and I have been working hard on plans for our future Greensboro, NC clinic. We are currently in the south Charlotte area (side note: I am SO HAPPY the Democratic National Convention is over! Life can go back to normal for us all finally. We live within a mile of the hotel where all the stuff was happening and the President was staying. Sounds cool, but let’s just say we were counting down the days… Friday was a happy day!). We are planning to eventually move north a couple of hours to Greensboro to open our Maximized Living health center and raise our family. Plans are starting, more news soon as we know more details. I am getting excited though!! It’s sounding like 2013 will be the year! I’m happy to be back to finish up our series on Whole Food School Lunches. This is Part 3 where we’ll be talking about Menu Planning. In case you missed it, you can find Part 1 and Part 2 here. After this breakdown of how to plan your weekly menus with your child(ren), I’ll share a few new recipes that will spice up the lunch box experience for your kid(s) to keep them happy and engaged. Each month, I keep a tally of how many consultations I do with you guys and what types of consultations. Lately, each month I am shocked by the outcome. It used to be that what people needed the most help with was detoxification and customized recipes for allergies. Now, since about January, you guys are coming to me for help with Meal Planning. That is by far the most requested consultation I am getting from you. Today I’m sharing some of my tips with you for free! I’m hoping some of today’s post will help with your lunch planning needs. And enjoy the two PDF templates for free as well. I love it when a parent implements a meal planning routine with their child. Not only are you teaching your kids life skills that they will use later in life on their own, but you are also opening the door for nutrition and health conversations. You can help your child understand the importance of eating whole foods vs. processed foods, what it means to drink half your body weight in ounces, why sugary beverages can make you sick, and the differences between healthy proteins-carbs-fats vs. unhealthy options. We’re talking about planning lunches on a whole food, real food lifestyle. Whether your child is following the Advanced Plan or Core Plan, or maybe you are in the baby step stage of just getting your family to eat whole foods. All of today’s tips will help you! I would just like to explain that while balanced eating is very important (Protein, Carbs, Fat in each meal), it’s not about calorie counting or measuring out exact grams or cups of foods. When you are eating whole foods, simply make sure that each meal contains a Clean Protein, a Healthy Carb, and a Good Fat and you are set. Your body knows what to do, and as long as you are eating enough for your body size (bigger portion for an adult, smaller portion for a child), you will stay full for 3-6 hours from meal-to-meal. Pick a day that you and your child will sit down and plan your month’s (or week’s) worth of school lunches. For us it is the last Thursday of every month. Start by having your child tell you what he/she would like to see in their lunchbox. It’s important to send them off each day with a balanced meal. I’ve created a Favorite Lunch Foods worksheet that you can fill out with your child (pictured below, download it here). Ask them to list their favorite foods in each category: Clean Proteins, Healthy Fats, Vegetables, and Fruits. Always include a bottle of fresh filtered water with every lunch (I like to use a Klean Kanteen). Use this list of favorite foods as your crutch while planning the month/week’s worth of lunches. 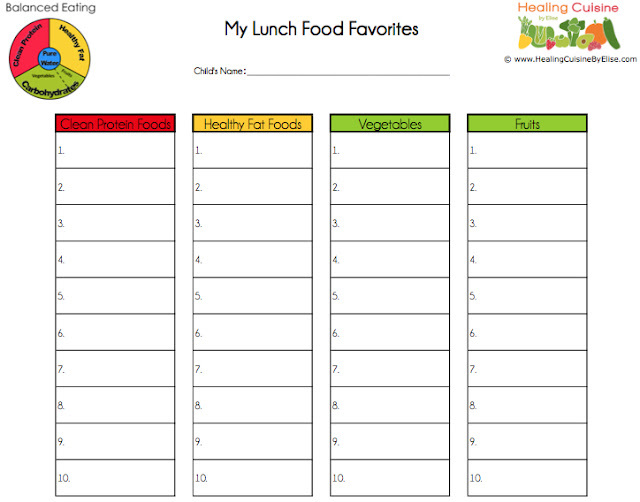 Once you have each child’s favorites recorded, work together to mix and match the categories to create complete lunch meals. I’ve created a Lunch Menu Template for you to use as your guide (pictured below, download it here). It’s in a weekly format, however I recommend planning your lunch menus out a month in advance. This sets you up for success, giving you ample time to plan, shop, prep, and prepare. You may find once you get the system down, that you can cook once a month and make enough food for the freezer to use in lunches for most of the following month. Remember to refer back to my School Lunches Part 2 discussion on preparing lunch meals in advance. Also, save each week’s menu template after you fill it out. Reuse it each month or every other month to further simplify the menu planning and save you time, or at least use it as a guide and make adjustments as needed based on seasonal produce! 1.) Do it. As with any goal, the first step is making the commitment. The second step is following through and doing it. You can’t just say you’re going to do it, you must decide you will do it. Set a date to start taking action. Talk to your spouse and kids to get them involved in the meal planning process. Have them help hold you accountable. 2.) Shop strategically. Pick a day to do your grocery shopping that works best for you. For me, it’s Sundays after 3pm. Consider your schedule, then cross reference it against how busy your farmer’s market or grocery store may be at that time. Sometimes it’s better to wait until later in the day to shop. Also, consider your market’s schedule. Ask the store manager when they receive fresh shipments on produce. And stay flexible with your shopping list. If you’re planning on romaine but the spinach looks better, go with the spinach. 3.) Consume perishables first. When putting your weekly meal plans together, send your kids off to school with the most perishable items first so nothing goes to waste later in the week. In my house we have salads or lettuce/kale wraps on Mondays and Tuesdays. 4.) Grade your efforts. 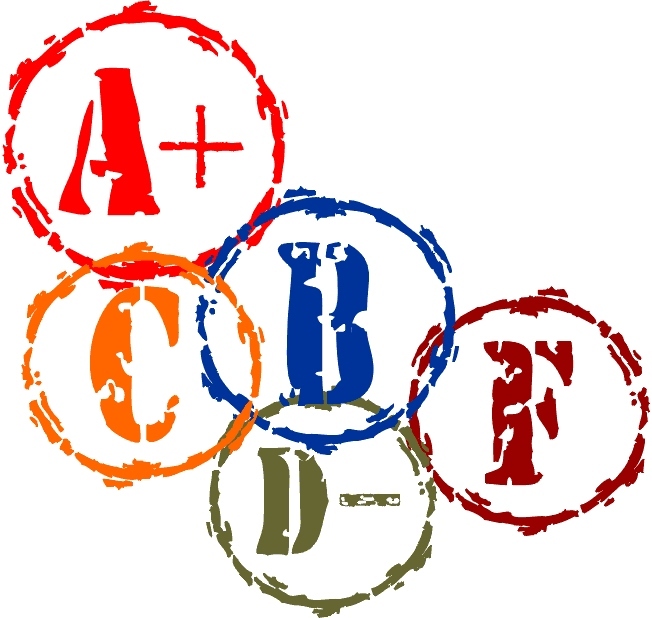 When your child brings their lunch box home, have them grade how they liked their lunch. 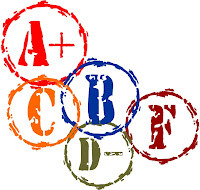 Have them write a grade, A-F, on the weekly menu planner or use a number system, 10-1. This opens the door for communication about what they really did or didn’t like about that day’s packed lunch. Together, you can make adjustments for next week. 5.) Budget smart. Budget your time, budget your money. Using a monthly planning system allows you to buy foods in bulk to save the most money. You’ll also spend much less time planning one day a month rather than every single day. Plan to use Sunday dinner leftovers in Monday’s lunch. And when certain foods are on sale, like chicken, avocados, or cauliflower, buy a bunch and freeze it for later in the year. You can even make double dinners and freeze the 2nd portion for lunches later in the year. 6.) Looks count. Make an effort to keep the packed lunches looking attractive. A variety of food colors each day is a great start. You can also include fun freezer packs (I like these ones by Rubbermaid, get a few to switch it up!) 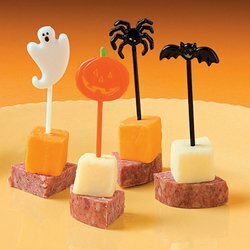 or use decorative items like cookie cutters to shape the cheese/fruit/veggies or foodpicks like this one or this one with a fun toppers. And, your child is never too old for an encouraging note, a picture, or a funny drawing from you included in their lunchbox. 7.) Variety is key. Planning ahead means you’ll have time to add variety to your kids’ lunches. Throw in a few new foods each week that are not on your child’s Favorite Foods list. If you’re dealing with a picky eater who is likely to throw out the new food before trying it, instead try introducing new foods at dinner time first. You can keep a watchful eye while your child responds to the new food. Then open dialogue about including it in their lunches in the future. 8.) Stick to the plan. Map out your shopping list in detail to avoid buying processed foods or high sugar content foods. When shopping, stick to your grocery list for your kids’ lunches. You don’t want to forget anything that could compromise the week’s menu. 9.) Establish portion size. For many parents, it’s trial and error to figure out how much food is enough for your child to get through the day. Growth spurts, extra activity during the school day, and many other things can impact how much food a child needs during the day. Roll with the punches and continue to try your best to meet his/her needs. 10.) Design a template. Depending on the age of your child, they may need more than 1 serving of Protein, Carb, and Fat at lunch time. This is true especially for Middle School and High School age kids. 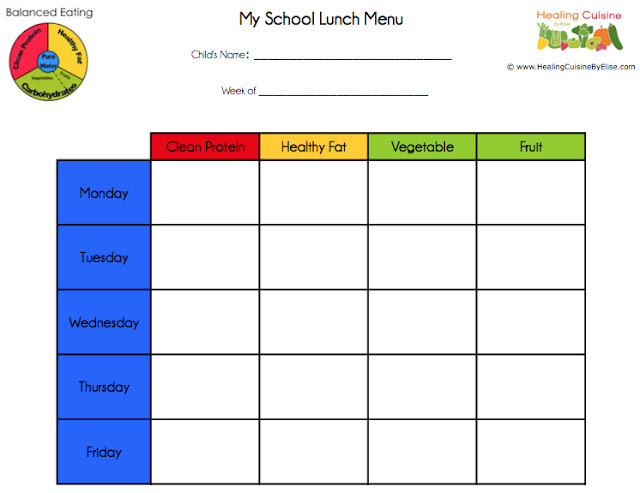 Talk with your child about how much food they need during the day, and together design a template to follow for preparing the lunches. Some kids may need as much as 7-10 different food items to take enough food in to match their growing adolescent body. 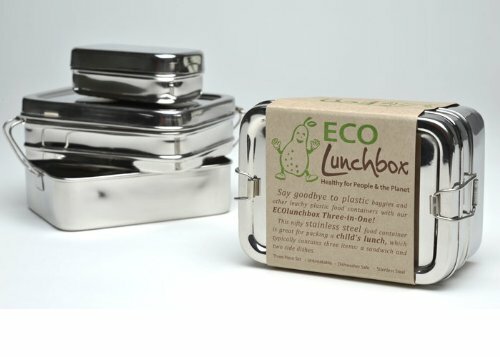 For larger size lunches, you may need a bigger bento type box, or two of them, or something like this stackable style Ecobox. 11.) Schedule baking day. If you set yourself up for success, it will come more easily. Schedule a day or two times during the week that you will bake lunch and snack items. For me, I do our family’s shopping on Sunday evenings. Tuesday mornings once a month are for baking and making freezer desserts. I actually only bake once or twice per month, making enough to store in the freezer for the rest of the month. Putting the date on your schedule specifically for baking will encourage you to get it done. 12.) Be mindful of allergies. This is a good tip not only for the safety of others, but to ensure your child is eating only the food that you packed for them. Talk with your child about how food allergies make it particularly important that everyone eat their own packed lunch. If a fellow student has a food allergy that you don’t know about, something in your lunch could trigger a reaction. Eat what mom or dad gave you and only that, no trading.